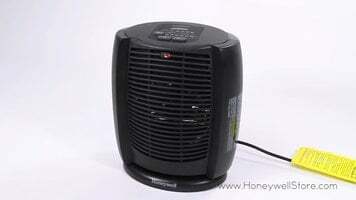 The Honeywell 360 degree surround heater provides all around warmth with its 360 degree technology. This heater uses fan-forced wire heating technology with a 1500 watt output for heating small to mid-sized rooms and the 360 degree surround technology with provide heat from all sides. The easy-to-use dial controls offer two heat settings and adjustable thermostat. The unit also features an auto-off tip-over switch that will turn off your heater in the even of it being knocked over. Exceeding industry safety standards, this heater also comes with over-heat safety protection. The Honeywell HHF360V comes with a 3 year limited warranty. 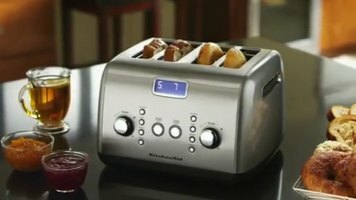 This video gives you a look at the 2-4 slice toasters from KtichenAid. 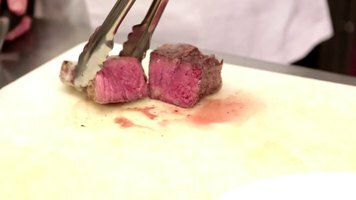 Chef Thom England from Ivy Tech teaches you how to make the perfect steak with Hobart's Combi Oven.